The file name and URL you use for your podcast media is as important as the recording itself. As of 2014, there are more than 100 podcatching applications found on desktop computers, mobile devices, tablets and smart (Internet-connected) TVs. Having media files that are formatted with that in mind will ensure your ability to distribute to all of these devices and more. The media URL is the unique Web address to a specific file, page or folder on the Internet. Each episode will have its own unique URL varying only by the file name. The common portion of the URL is determined by what folder you place your media file in on your server. e.g. If you FTP your media into a folder on your ‘public_html’ (sometimes this is ‘htdocs’ depending on your Web hosting company) called ‘audio,’ then your folder’s URL would be http://example.com/audio/. Any media file you upload into the audio folder will have a URL in the form of http://example.com/audio/yourfile.mp3. NO SPACES or SPECIAL CHARACTERS – We recommend that folder names never contain spaces or other non-alpha numeric characters aside from dashes/hyphens and underscores. Using a space or special character, for example, means that your URL will have to be ‘encoded,’ which replaces those spaces and special characters to special symbols. The process of your media URL being encoded opens the possibility that the encoding will be incorrectly decoded or double encoded when ingested by some podcatching applications, podcast directory websites, or even by an audience member copying/pasting the URL into their email to send to a friend. Do not use FTP URLs – Podcast applications cannot download via FTP because they don’t have FTP libraries coded into into them. HOST MEDIA ON SEPARATE SERVER – Media files consume a lot of bandwidth. If you host them on the same server as your website, you are asking for trouble. Think of your website’s connection to the Internet as a pipe, you can only fit so much data through the pipe at any given time. Though Web pages take only seconds to load, media files can take minutes, sometimes hours depending on their size. Once you have, say, 50 audience members downloading your media at the same time, your Internet pipe will become full, resulting in your pages taking a very long time to respond and load for your Web visitors. 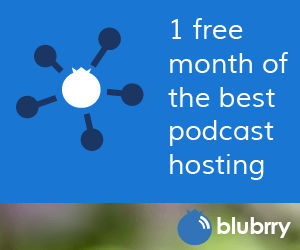 Check out Blubrry Media Hosting if you are looking for a reliable place to host your podcast media. The file name itself is an important detail to not overlook. Some applications will save your media file to the phone or tablet’s SD drive with the same file name you used. When your audience is using an application such as this and goes to the folder where your episodes are downloaded, the organization of your episodes will be intermixed with all the other podcast episodes that person is subscribed to. To keep your podcast well organized in this situation, it is important to use a unique prefix plus a zero padded episode number or date in YYYY-MM-DD format in your file names. Also remember not to use special characters or spaces, as this is will lead to the file names possibly having weird %02 characters in the file names, making them even harder to read by the audience member. Todd’s show is Geek News Central and the way he names his media files are like this: GNC-YYYY-MM-DD.mp3. Sticking with a standard naming convention from Day 1 will reduce listener confusion as they are look for your show. The PREFIX should be an abbreviation of your program’s title. Geek News Central’s prefix is ‘GNC’. The EPISODE NUMBER should be a zero padded number of your episode. E.g. `001` for episode. You might want to use padding for four spaces if you plan on having more than 1,000 episodes. If you are using Blubrry PowerPress 6.0+, you can specify a separate title for your episode from the blog post title. This is ideal for a number of reasons. See PowerPress Podcasting SEO Settings to learn more.